Note: If the Elliptical Mounting Plate is purchased at the same time as an AOA Kit, the cost is $400.00. 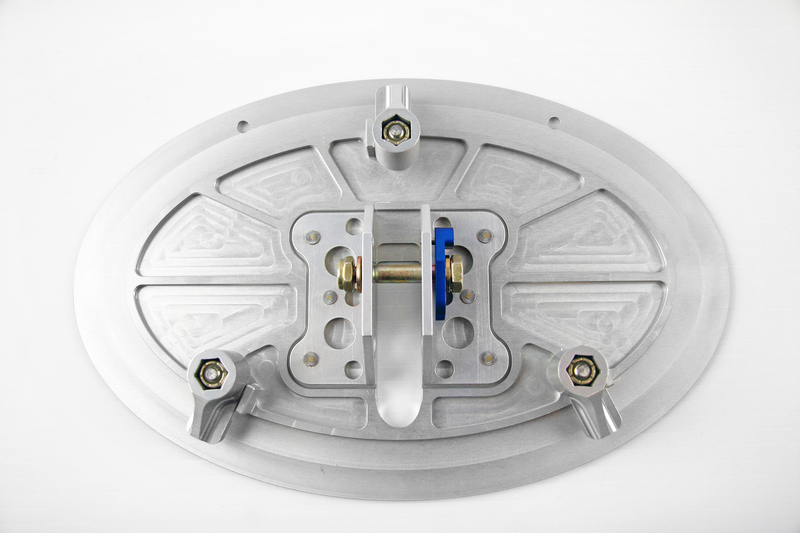 If you are purchasing the Elliptical Mounting Plate as an upgrade to an existing kit, the cost is $450.00. 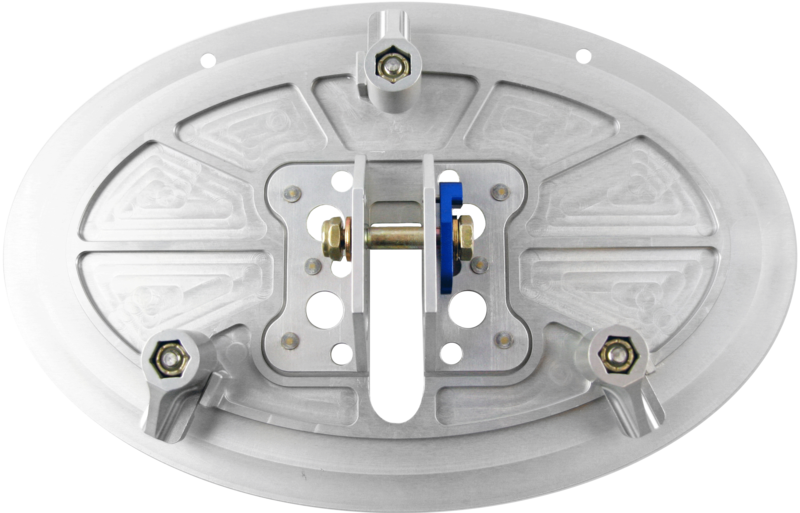 Elliptical 8" x 4-1/2" Custom AOA Probe Mounting Plate is used by installers for Cirrus G3/G5 wing. Has 3 equally spaced swivel clamps, tightened down from outside of the aircraft, allowing the plate to be clamped in place without modification to the wing. Elliptical Mounting Plate Size 8" x 4-1/2"